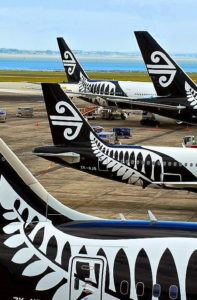 There is no evidence that any New Zealand government (including the current one) has ever had any interest in writing a strategy for our aviation industry, and a new report from Massey and NZ ALPA gives an indication of some of the consequences. A lost opportunity for this country to capitalise on the training needs for an enormous international shortage of airline pilots, first predicted by Boeing in 2012 and, in June 2018, revised to 790,000 over the next 20 years. A smart New Zealand administration could, years ago, have ramped up investment in training organisations, made flight instruction a high-earning, long-term career and attracted hundreds if not thousands of foreign students whose fees would have lifted the country’s foreign exchange earnings. The failure of Air New Zealand to adopt progressive policies aimed at recruiting, training and employing young Kiwis as flight crew. New Zealand politicians have, almost without exception, seemed clueless (and occasionally arrogant) when it comes to aviation. No party has ever provided a pre-election plan for general aviation to the GAA, apart from the Greens (who seemed sympathetic, but were high-mindedly opposed to airline travel. The rest of them said nothing). Despite the New Zealand aviation industry’s revenue even way back in 2009 being estimated at $9.7 billion by the Ministry of Transport, the previous National-led government always nodded approvingly but did nothing concrete to encourage it. Then it placed a cap on student loans, which hit Kiwi student pilots and training organisations. This meant that a budding commercial pilot, already facing a student loan capped at $100,000 to obtain a CPL, had to front up with another $20,000 to meet the total training cost. It must have deterred many a youngster from choosing aviation as a career. The current Labour-led administration is running too many reviews of other blunders to be bothered by really tough subjects such pilot shortages and aviation regulatory reform (unless some minister’s flight is cancelled or delayed due to a lack of crew). Transport Minister Phil Twyford has shown scant understanding of aviation and no interest in promoting it as a speciality wealth generator. So the new CPL holder must go cap-in-hand all over the country, looking for a flying job that might pay the minimum wage of $16.50 an hour and will usually involve unsocial hours, moving to an unfamiliar place and other social disruption. Many CPLs abandon aviation as a career, a small number obtain jobs in New Zealand and the rest emigrate after working as instructors for peanuts. The employee is employed on a casual “as required” basis and may agree to work if the employer asks them to. The employer may offer work during its usual hours of business of Monday to Sunday, between the core hours of 5 am to 12 midnight. There is no obligation on the employer to offer work or the employee to accept offered work. The employer will offer no minimum number of hours for each work session. $8.25 (gross) for each completed pre-flight briefing for a local dual flight. $4.13 (gross) for each completed post-flight de-briefing for a local dual flight. $16.50 (gross) for each completed pre-flight briefing for a cross-country dual flight. $8.25 (gross) for each completed post-flight de-briefing for a cross-country dual flight. $4.13 (gross) for each completed pre-flight check on a dual flight. $16.50 (gross) for each completed hour or part there-of, of flight training imparted. $16.50 (gross) for each completed hour or part there-of, of scheduled theory course. $16.50 (gross) for each completed hour or part there-of, of any other work required by the organisation. Shocked, we told the young C Cat instructor that the offer was, in effect, a “zero-hour” contract – banned under new employment law which came into effect on 1 April 2016, aimed at ensuring New Zealand workplaces are fair and productive. A newly qualified CPL needs another 500 hours to satisfy Air New Zealand’s criteria for consideration as an employee. Air New Zealand has never offered cadetships; however, that may change with Qantas stealing a march by partnering with Massey and looking to pick up the cream of its students and instructors. Successful Massey pilots will do a 12-week airline transition course to get a type rating on the Dash 8. The new report, called Pilot Career Progression in New Zealand, is the result of a partnership between John Murrie of the Massey University School of Aviation and David Griffin of NZ ALPA. They surveyed individuals who completed fixed wing flight training to Commercial Pilot’s Licence (CPL) standard between 2000 and 2018. It describes the loss of pilot expertise as a loss to the country. The GAA would prefer to define it as a gross failure of governance and a serious personal loss of money and valuable time to those who exit the industry, because this training is now self-financed. For those who are more determined and leave New Zealand, there are great career opportunities; so this is not an entirely bad-news story. The report suggests that interest on loans incurred by students working overseas should be fixed at 0% for three years. The Government introduced interest on student loans – if working overseas – to target those with law degrees, medical qualifications, engineering degrees and so on (therefore, likely to be earning good money as ex-pats) and to provide an incentive to them to pay off their loans. Young pilots obliged to work offshore to build hours and experience are not paid much more than they would receive here. Two to three years is about the average time spent overseas. We know of two who worked as instructors in Australia, paying off as much as they could afford on their student loans. When they got back to New Zealand three years later, they owed more than when they went to Australia. to understand the faults in the user-pays philosophy which fail to take account of wider benefits to be gained by a more community-based, sharing approach to education and training. We thank NZ ALPA for sharing the results of this survey with the GAA, and allowing us to share them with you.